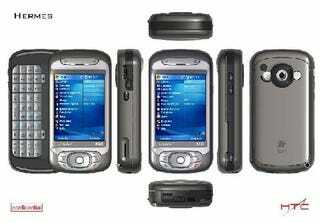 Over the weekend some pictures of Cingular's HTC Hermes knockoff hit the web over at the Brighthand.com forums. This is supposedly an upgrade from the 8125, but unfortunately it has had the front-facing camera removed, therefore making video conferencing null and void. We'll keep you posted as more info about this smartphone arises.